Fort George, in collaboration with The Common and Plazm magazine are are releasing a Farmhouse Ale in the Pacific Northwest. Beginning January 23rd through the end of April these 16 oz four packs will be available where fine beer is sold. represents this spirit - from the satisfyingly messy 16-ounce can design, to the dark Saison within. It’s a blatant disregard to a hop-heavy culture. Introducing Plazm Farmhouse Ale: a limited Pacific Northwest collaboration featuring the art of Plazm magazine and the craft brewing of Fort George and The Commons. If you set out to make a Farmhouse Ale, who better to collaborate with than The Commons Brewery? From their beginnings on a 1-barrel nano system in Mike Wright’s garage, to the upcoming 10,000 ft2 expansion on Belmont Street, The Commons has consistently brewed some of the finest Farmhouse Ales in the country. And while much focus is placed on the hop bill in the Pacific Northwest, this collaboration focuses on the less popular (yet most important) ingredient in brewing, the yeast. Fort George and The Commons worked closely to land on the perfect yeast for this beer, bringing out just the right flavors and aromatics. With a bright white head and a golden amber glow, expect hints of tropical fruit, with light mint, pepper, and clove. Join Plazm magazine, Fort George, and The Commons in celebrating the official release of Plazm Farmhouse Ale with a free concert at Holocene in Portland. There will be a raffle for a Plazm Collector's Edition box, among other things, and a free limited-edition commemorative stamp for the first 50 people through the door. 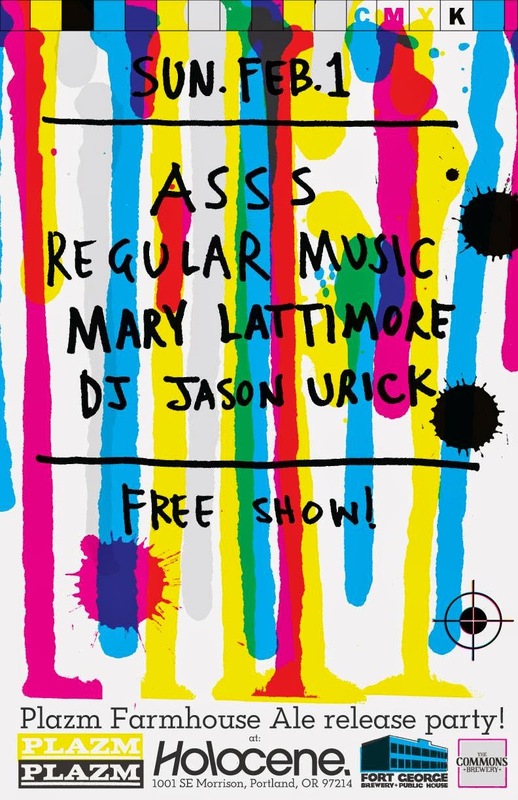 Plus listen to music from Asss, Regular Music, Mary Lattimore, and DJ Jason Urick.